Getting from.A to B with the least hassle. Thank you and we are glad that you stayed satisfied with our company. In time, reliable and very friendly driver. Air conditioning in car and driver who talks finnish. It was a good and safe ride. 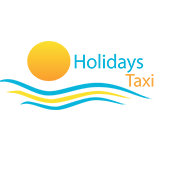 Have you used Holidaystaxi? Share your experience!